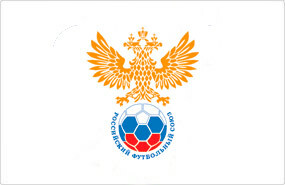 Russia will have one of the oldest teams at Euro 2012. It has been a significant cause of concern in the country that so few young national team players compete in the Russian Premier League, and rules have been changed to reverse this trend. Though Andrei Arshavin, Roman Pavlyuchenko and Pavel Pobgrebnyak are the star men for Russia, they do boast a highly talented and gifted youngster in Alan Dzagoev. He was the country’s joint-top scorer in qualifying and the CSKA Moscow playmaker is capable of performing at the highest level, having featured in the Champions League. He has attracted interest from Real Madrid and should be one to watch. His team-mates at CSKA Moscow, Igor Akinfeev and centre-back Sergei Ignashevich, will provide Russia with one of the tournament’s strongest defences, with Alexander Anyukov and Yuri Zhirkov adding attacking thrust from full back. Russia have been hit on the eve of the tournament by the withdrawals of another CSKA Moscow man, Vasili Berezutskiy, as well as full-back Roman Shishkin however. The Dutchman is leaving his post as Russia coach after Euro 2012 to return to PSV Eindhoven. He has an illustrious pedigree as a former boss of his own country, Holland, and has also managed Rangers, PSV and Borussia Monchengladbach. Perhaps Advocaat’s most impressive success though was in Russia with Zenit St. Petersburg, a side he led to win the then-UEFA Cup in 2008. The Dutchman took over in 2010 and suffered an early defeat at home to Slovakia in the qualifiers. But Advocaat’s side improved afterwards and managed to edge out the Republic of Ireland to qualify for Euro 2012 automatically. Despite being maligned by his own fans at Arsenal, most notably when they booed his introduction in place of a teenage Alex Oxlade-Chamberlain against Manchester United in January, Arshavin remains a crucial part of the Russian team. The captain, he was superb at Euro 2008, but his stock has fallen significantly since. The midfielder has enjoyed a better time with Zenit since joining his former club on loan in February, and showed some of his skill and trickery in their march to the title, proving a useful replacement for the injured Danny. Arshavin though remains an enigma and is something of a living metaphor for the squad: Gifted, past their peak and perhaps without the will to rediscover former glories. Like their group rivals, no one expects Russia to set Euro 2012 on fire. There is a belief though, probably justified, that they are the strongest team in their group. There would be major disappointment at home if Russia did not make it to the last eight. As the hosts of the 2018 World Cup, Russia are looking to build and improve their national team in order to be competitive in the latter stages of that competition. Russia may not have the same speed and movement as they did four years ago, but they have experience and a solid defence. It is that which could swing things in their favour against Greece and the Czech Republic, two teams who have found it difficult to score. That pair will find Advocaat’s side particularly difficult to break down, and whether they are good enough to stop the likes of Arshavin and Dzagoev is questionable. Russia should have enough to make the last eight.